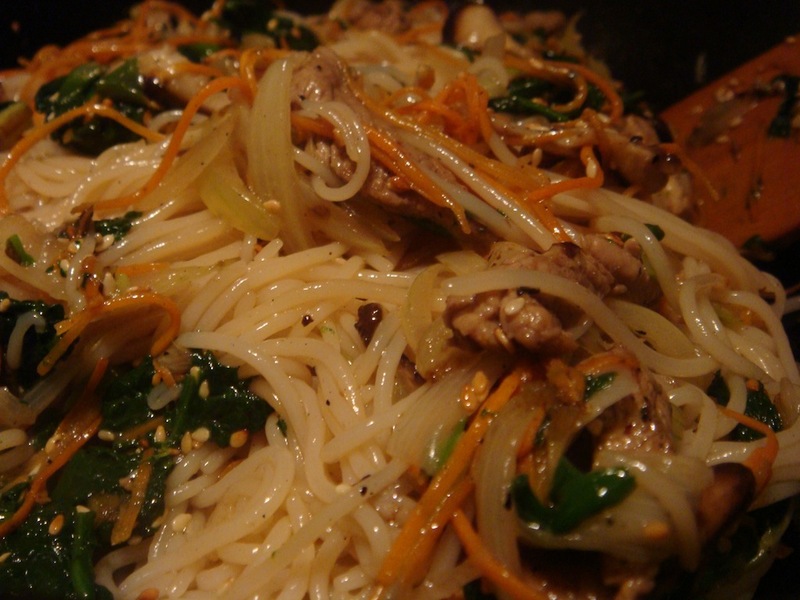 Japchae 잡채 – there’s a noodle out there for everyone! 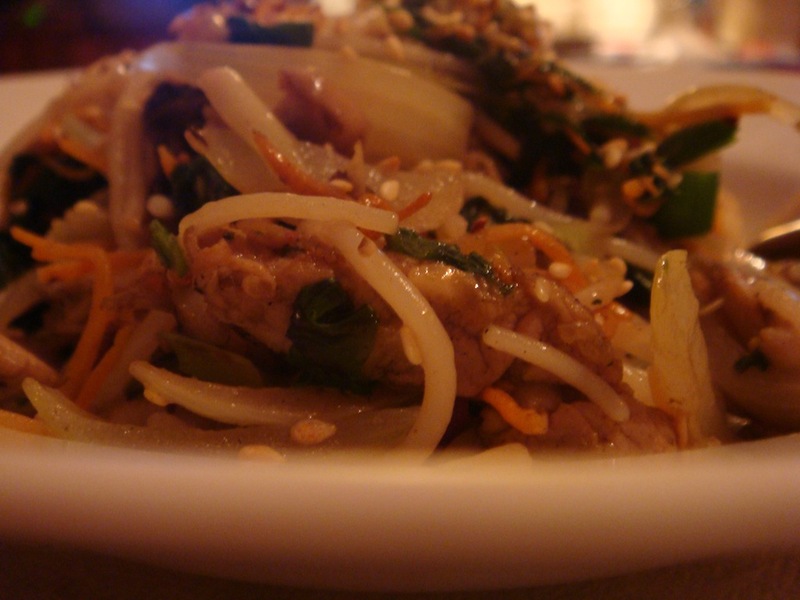 Japchae 잡채 is a traditional Korean dish made of glass noodles and various stir-fried vegetables. The noodles are made from sweet potato starch and are light in color and texture. Usually you can get them in an Asian market, but unfortunately I couldn’t find any, so in this recipe I’m gonna use Vietnamese rice noodles. 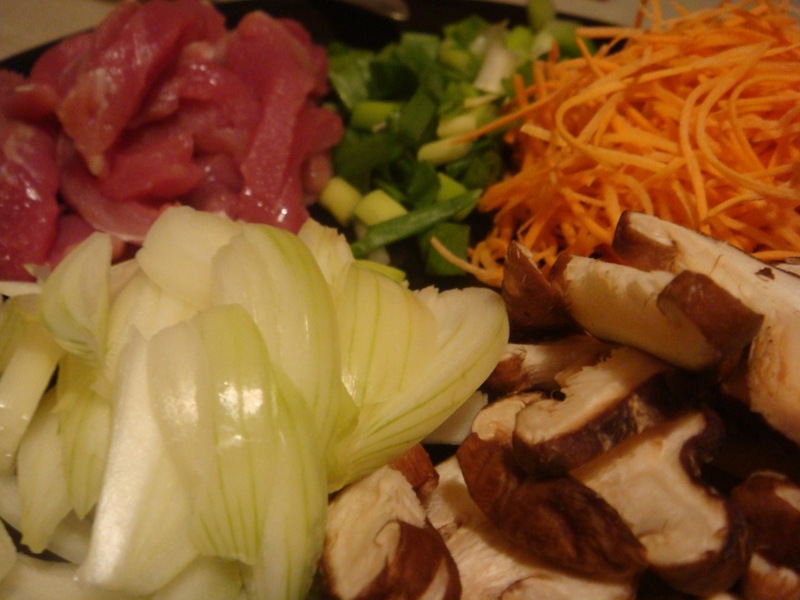 Prepare the vegetables: slice shiitake mushrooms, cut carrot and onion into sticks. Cut pork into thin strips. Boil glass noodles in water for 5 minutes. Drain and rinse with cold water. Put them in a bowl, add 1 tablespoon of soy sauce, 1 tablespoon of sesame oil and mix well. Cut noodles into shorter pieces using kitchen scissors. Place a few drops of vegetable oil on a heated pan and stir fry onions and carrots for about a minute, until they get soft. Add green onion and mushrooms and fry for another minute. 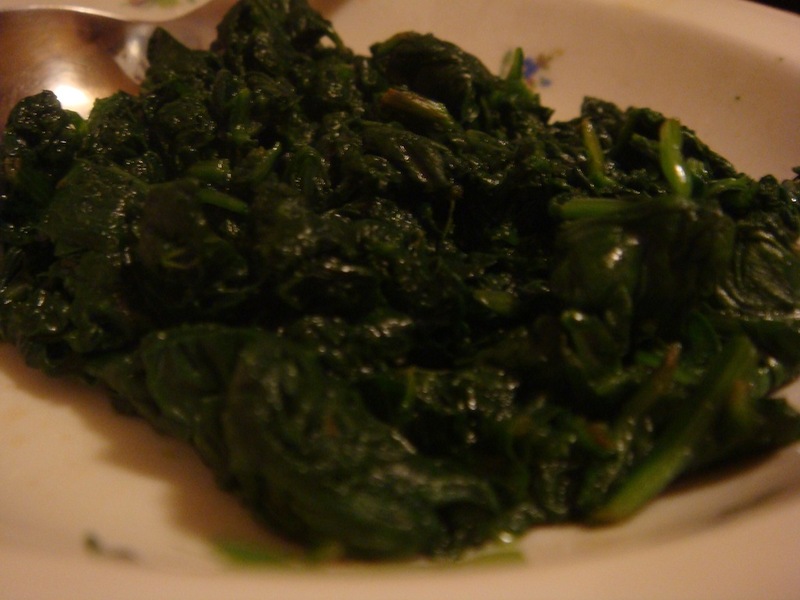 Boil spinach in hot water for about 30 seconds, then rinse in cold water. Squeeze it well and cut into 2cm pieces. Mix it with 1 teaspoon of soy sauce and 1 teaspoon of sesame oil. 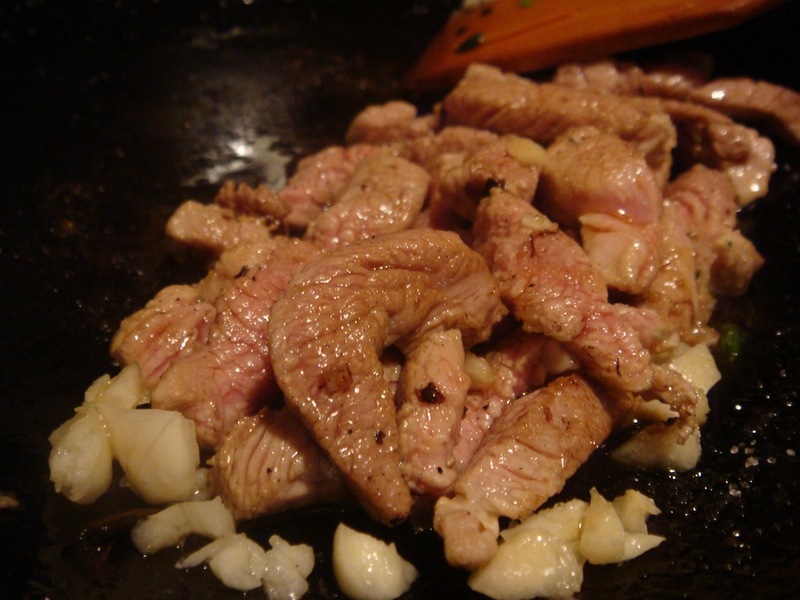 In a pan, fry the beef until it’s completely cooked. Add garlic, 1 tablespoon of soy sauce and 1 teaspoon of sugar. Put all ingredients in a large bowl. Add 2 tablespoons of soy sauce, 2 tablespoons of sugar, 2 tablespoons of sesame oil and 1/2 teaspoon of pepper. Mix it well. Fry it in a pan for about 3 minutes, toss with roasted sesame seeds and enjoy!